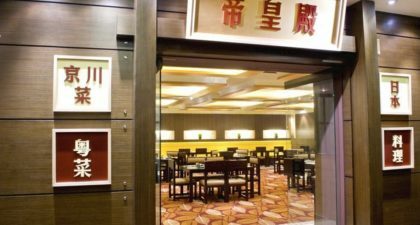 Open 24 hours, the King of Kings Restaurant at The Landmark offers guests a wide selection of regional Chinese and Japanese cuisine. The restaurant is stylishly designed, providing guests with a comfortable ambience for dining. The extensive menu featuring sushi, sashimi, hot pots, noodles, soups, deep-fried dishes and more, will have guests spoilt for choice. Visitors should try the Matsuzaka Beef Shabu Shabu Hot Pot (980 MOP, $122).